A Kentucky legislator said there’s a good chance they pass legislation early next year allowing legal sports betting in the state. “This is a way we can get revenue without using the dreaded word ‘tax,’ ” said McGarvey, a Louisville Democrat who said Reps. Jason Nemes, R-Louisville, and Rocky Atkins, D-Sandy Hook, are other members of the group. “This is not a panacea. It’s not going to cure all of Kentucky’s financial woes. But it is a way to get some money coming to already depleted coffers,” McGarvey said, adding that it would partially offset deficits in some social services, including Medicaid. 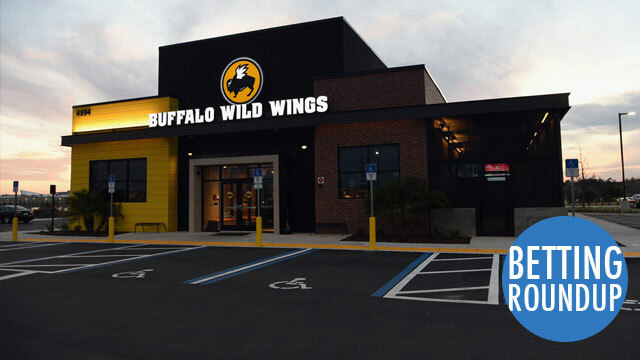 Buffalo Wild Wings is looking to take advantage of the spread of legal sports betting in its restaurants. New York Governor Andrew Cuomo may be holding off until after the November election to act on sports betting. Bonacic described the governor as being uninterested in accomplishing anything this year. But he said if Cuomo wins re-election this year that he expects the governor — no longer in campaign mode — would take the lead on sports gambling legislation, potentially including it in the state budget. Caesars Entertainment addressed whether or not they will offer the same betting lines in different states.
.@CaesarsEnt sportsbooks will be offering extended SEC betting options at its Mississippi locations. The books will attempt to use the same lines in New Jersey, Nevada and Mississippi, but managers have the option of moving the numbers to reflect the local action. ESPN Chalk’s David Purdum published an article about how sports betting went mainstream. There has been sudden sea change, though: In just the past five years, society’s — and the sports leagues’ — acceptance of sports betting has markedly increased. A myriad of factors brought us to this revolutionary point in American gambling history: Daily fantasy rose to prominence, the media embraced point-spread talk and the leagues, with the help of some new forward-thinking commissioners, softened their opposition.